philosophy is rooted in the involvement of local people and in doing so exploring the potential of their environment. 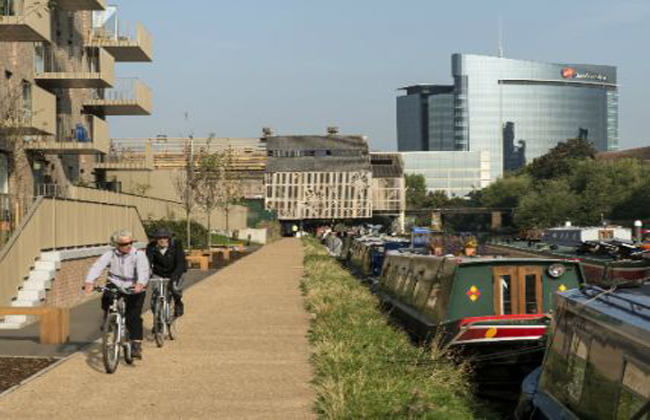 The different threads of the project: the cultural and economic venues of the market place and the sheds; cycling culture initiatives through Brentford works and Brentford Bikes; and walking connections opened up by the sheds project, all pull towards making Brentford a more socially sustainable and liveable place. Kinnear Landscape Architects are appointed as Lead Designers to develop a designconcept for the Brentford ‘making the connection’ project. The initial brief was to improve the public realm connection for pedestrians and cyclistsbetween the quiet High Street and the businesses and offices on the commercial GoldenMile. The two areas are 1 mile apart from each other via the towpath of the River Brent. 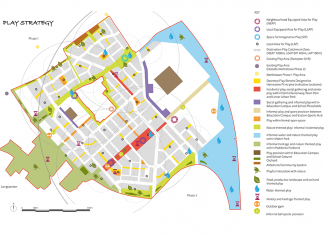 KLA developed the idea of ‘making the connection’ and worked closely with the client to develop the brief, which became a more ambitious series of urban interventions withboth physical and socio-economic layers. The project is funded through the Mayor’s Outer London Fund; its objective is to deliver an innovative and exciting public realm scheme that includes arts and lighting. All of the project threads - of community, a shift in transport culture, the cultural and physical connections to the canal - come together in the public realm works in the Market Place. The newly configured flexible space accommodates regular markets and events whilst also providing a living room in the town centre with a variety of opportunities for meeting and playing across all generations. Symbolising the shift in transport the car park that was previously central to the market square has been removed and replaced with a flexible public space that can accommodate the market stalls. Public water play features and a new willow tree reconnect Brentford High Street to its waterside heritage.